AHS seniors had a chance to show off their Capstone projects at the first Capstone Fair Thursday. For the first time in the high school’s history, seniors created Capstone projects driven by their own interests, career aspirations and passions. Students have been working on their projects in their English classes for weeks and created displays to show to family, friends and peers in the high school gym. English teachers Jessica Pike, Barbara Mudrak and Ingrid Risden, along with librarian Marilyn Jackson, coordinated the event. 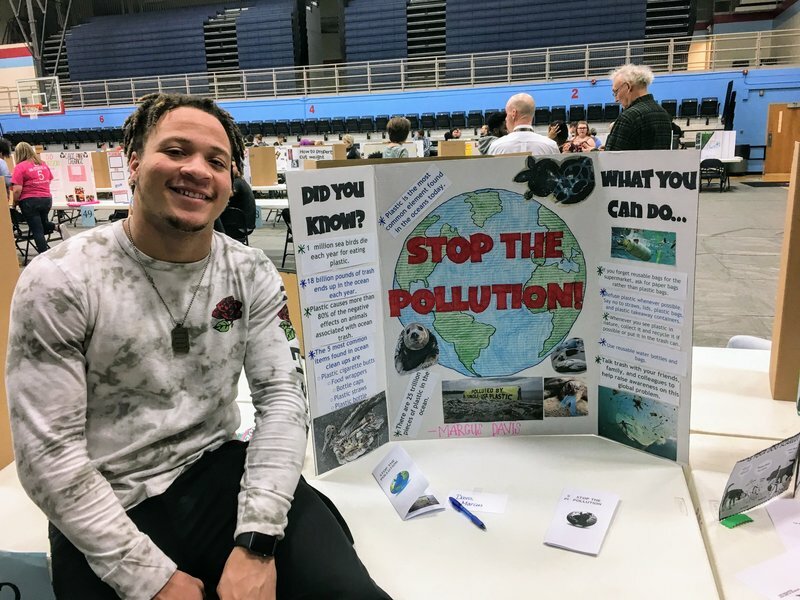 The projects ranged from Marcus Davis’s research on how plastic affects ocean environments, to Makenzie Butler’s on training therapy animals, to Chris Shell’s on the 4-stroke combustion engine. 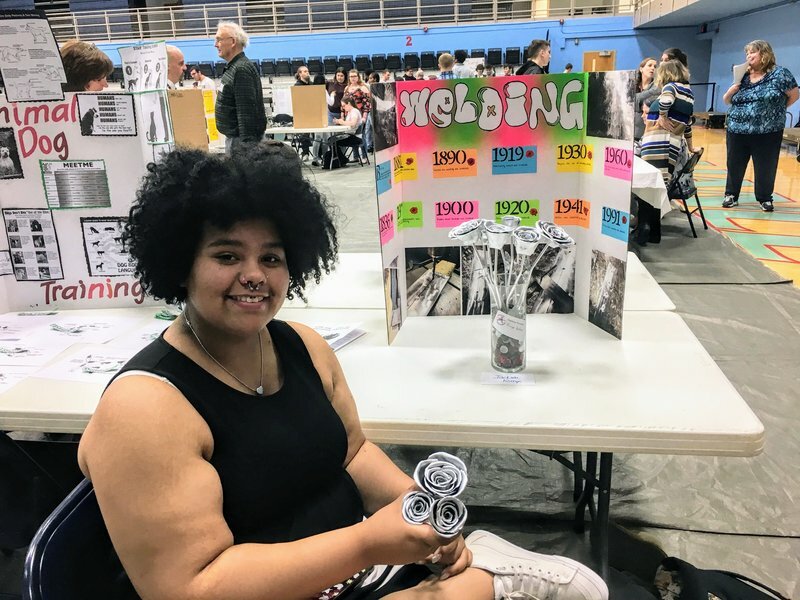 In his display was an engine he’d built himself..
Korryn Jackson, a student in Steve Fuson’s welding class, created a bouquet of a dozen welded roses that she painted a silver color. She spent every day over the last four weeks on the details of her project, she said. The Capstone projects were a great opportunity for students like Korryn to have class time to work on something they are passionate about. She said students were encouraged to do project related to their career goals. For instance, Ellarose Lashley created recruiting pamphlets for the Navy. Her Naval recruiting officer joined her at the display. Other students did projects in a field they are interested in but wouldn’t otherwise have the opportunity to study in depth. Noah Gehret set out to disprove the notion that it is cheaper to play video games on a console than on a computer. He built a PC from scratch, ordering parts online for far less than the cost of a console. 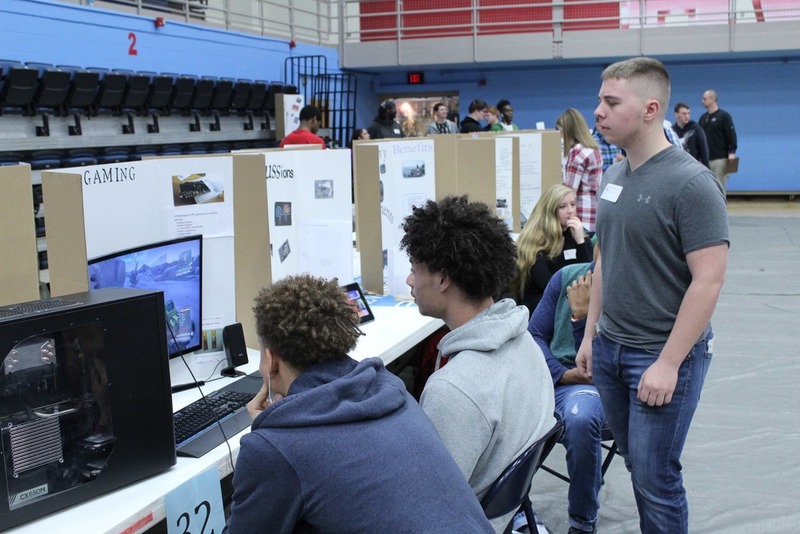 “A lot of people who have seen my project say they will get a PC now instead of a console (for gaming),” said Gehret, who enlisted in the Army National Guard and plans to go to Kent State University next year to study Computer Science. Capstone projects incorporate English curriculum standards such as research, reading, writing and public speaking. The Ohio Department of Education recently determined that Capstone could be used as an alternative pathway for students who do not have enough state test points to graduate. The Capstone requirements include completing a hands-on project; a research paper on a related topic; a presentation on career, college or military; a portfolio, and two hours of community service. Seniors in Career and Tech programs completed their hands-on projects in those classes. Underclassmen went through the fair, asking questions of the seniors and voting on which projects they thought were the best. They also got ideas for Capstone projects, which they will do next year. The Capstone Fair is expected to be even bigger next year as more senior English classes will have the opportunity to do the projects. 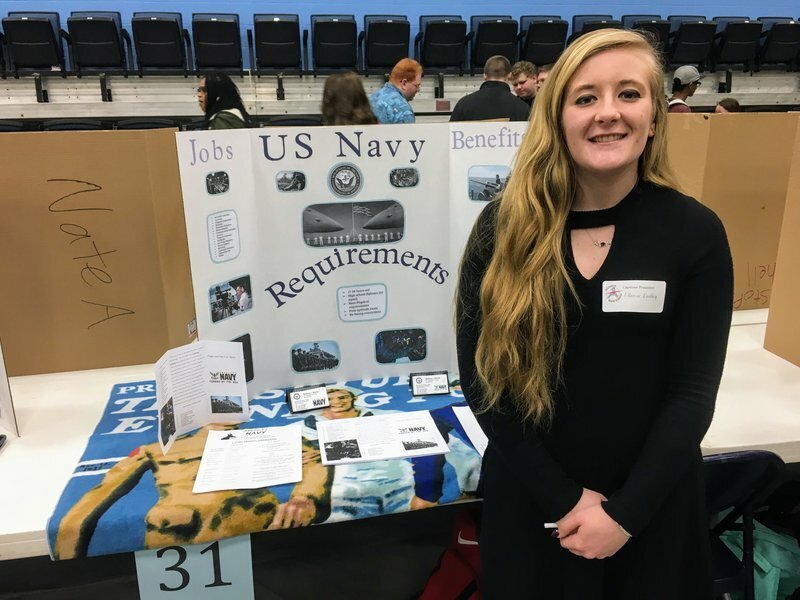 Ellarose Lashley did her project on the benefits of joining the Navy, which she has done.